This magnificent and dramatic Bell Tree Dahlia is truly a traffic stopper! Absolutely wonderful to add this gorgeous Imperial Dahlia to your garden as it exhibits its captivating and colourful blooms. 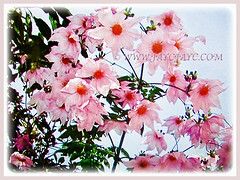 Dahlia is the official flower for the City of San Francisco in California and the national flower of Mexico. Botanical Name: Dahlia imperialis (syn. : Dahlia maximiliana, Dahlia dumicola). 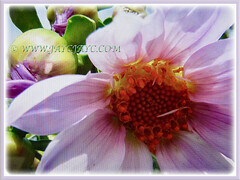 Common Names: Tree Dahlia, Bell Tree Dahlia, Imperial/Giant Dahlia. Etymology: The genus Dahlia is named in honour of Dr. Anders Dahl (1751-1789), Swedish botanist and pupil of Linnaeus. Origin: Native to Mexico, Central America and Colombia. Plant type: An ornamental, tuberous and perennial tree. 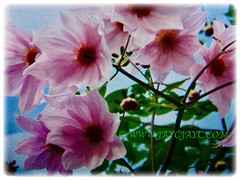 Features: Dahlia imperialis is from the genus, Dahlia that consists of about 42 species of flowering plants. A fast-growing and large plant that can grow between 8-10 m in height. It is a tuberous and herbaceous perennial that grows from the base. It develops brittle, hollow, bamboo-like and 4-angled stems with swollen nodes. The fleshy stems grow singly or in clumps. They are segmented with nodes around 30 cm apart, giving them a superficial bamboo-like appearance. Their tripinnate leaves are large. 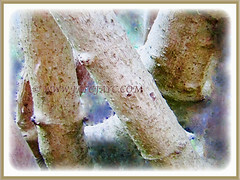 The lovely green leaves are compound in structure and are borne in opposing pairs. The impressive clusters of flowers are single blooms with open centres. 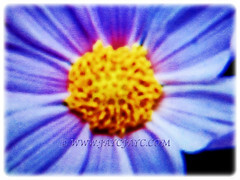 Captivating pendant or nodding flowerheads are 7.5-15 cm across with the ray florets coloured lavender or mauvish-pink. The yellow or orange centers contrast beautifully with the petals. 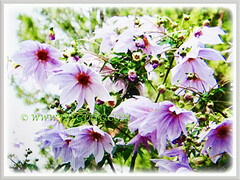 Culture (Care): Dahlia imperialis or Tree Dahlia can be easily grown with least maintenance. Light: Full sun to partial shade. However, it needs full sun for optimum growth and flowering. Moisture: Moderate water needs. Water regularly but do not overwater. Others: Deadhead any spent blooms. 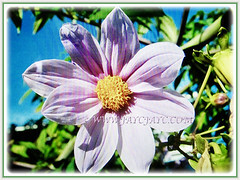 Prune the Tree Dahlia after flowering to keep it smaller and compact if desired. Protect the tree from strong winds by using a fence to support the tree from toppling or staking. Feed once monthly with a fertiliser that is high in potassium and phosphorus but low in nitrogen to prevent leafy bushes with less flowers. However, do not over fertilise as it may cause yellowed leaves, drooping and leggy plants. Generally free from serious pest and diseases. However, they are susceptible to fungi, such as powdery mildew and grey mould. Also, do watch out for caterpillars, aphids, thrips, mites and leafhoppers. Dahlia imperialis or Giant Dahlia will flourish in most areas, including subtropical and cold regions but flowering can be ruined by frosts. It is hardy to about -6.66 to -15°C but as it blooms in the late fall, flowers are often destroyed by early frosts. 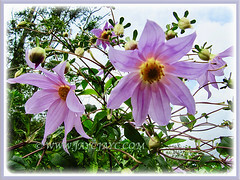 The Tree Dahlia will flower in zones 8-11 although it is known to flower in Zone 7b in warmer years. 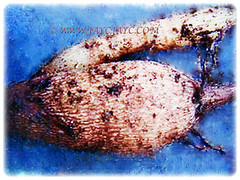 Tubers are said to be hardy to -6.66 to -15°C if well-mulched. Alternatively, just move the tubers indoors for the winter. Protection from strong winds is recommended as the young shoots and flower sprays are fairly brittle. It flowers from fall to early winter. This species is fast-growing and the growth spurt being linked to shorter daylight hours. It usually bloom in autumn before the first frost. After flowering, you may cut the plant back to the ground and new growth will shoot up in the spring. More info here. Propagation: Easily propagated from seeds. 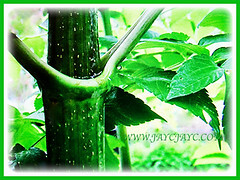 But best from stem cuttings about 30 cm long and having at least two nodes. Usage: Dahlia imperialis or Tree Dahlia with its spectacular clusters of colourful flowers with surely add a dramatic accent to the garden. Suited to be grown in the ground in borders and flowerbeds. Ideal in large tubs or containers. Its large green leaves are used as a dietary supplement by the people of Guatemala. The Tree Dahlia’s stems were actually used by the ancient Aztecs as pipes to carry drinking water. This plant is a magnet to bees and butterflies. Wonderful as cut flowers for bouquets, floral arrangement or simply in a vase.